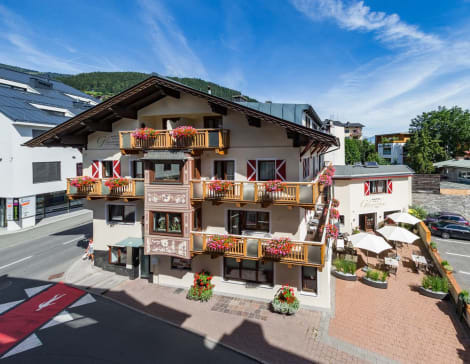 With a stay at Hotel Glasererhaus, you'll be centrally located in Zell am See, a 1-minute drive from Lake Zell and 11 minutes from Kaprun Ski Resort. 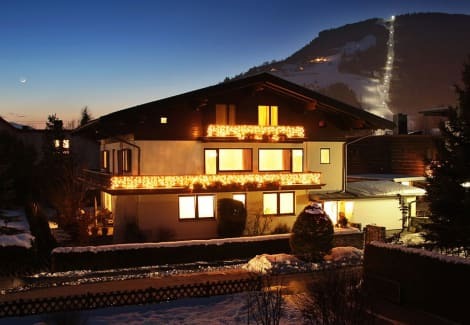 This hotel is 11.4 mi (18.3 km) from Saalbach-Hinterglemm Ski Resort and 0.1 mi (0.1 km) from Schmittenhoehe Ski Resort. When you stay at Grand Hotel Zell Am See in Zell am See, you'll be on the boardwalk, within a 15-minute drive of Lake Zell and Kaprun Ski Resort. This 4.5-star hotel is 12 mi (19.3 km) from Saalbach-Hinterglemm Ski Resort and 0.1 mi (0.1 km) from Schmittenhoehe Ski Resort. Stop by the hotel's restaurant, The Tirolerhof, for dinner. Dining is also available at the coffee shop/café, and room service (during limited hours) is provided. Quench your thirst with your favorite drink at the bar/lounge. A complimentary hot/cold buffet breakfast is included. Sporthotel Alpin is right next to the ski slope and the cityXpress cable car, only a 3-minute walk from the centre of Zell am See and 7 minutes from Lake Zell. The Zell am See-Kaprun golf course is 5 km away. All rooms are newly renovated in late 2016 and feature a balcony, a seating area, bathrobes & free WiFi. The spa area offers an indoor pool, 2 saunas, a steam bath, and a rest area. The gourmet restaurant serves Austrian and international cuisine and a wide range of fine wines. Gourmet half-board includes a rich breakfast buffet and a 6-course dinner with a choice of dishes and a salad and cheese buffet. Various services such as shuttle connections and a weekly tournament are offered to golf players. Guests of the Sporthotel Alpin enjoy all leisures of the Zell am See - Kaprun Summercard. Many hiking and mountain bike trails are close by. Parking spaces at Sporthotel Alpin are available free of charge and are partly covered. With a stay at Gasthof Limberghof in Zell am See, you'll be a 3-minute drive from Lake Zell and 5 minutes from Kaprun Ski Resort. This hotel is 14 mi (22.6 km) from Saalbach-Hinterglemm Ski Resort and 0.4 mi (0.6 km) from Zell am See-Kaprun Golf Club. Spend the day on the slopes, or enjoy other recreational amenities, which include ski-in/ski-out access. Additional features at this hotel include complimentary wireless Internet access, ski storage, and tour/ticket assistance. 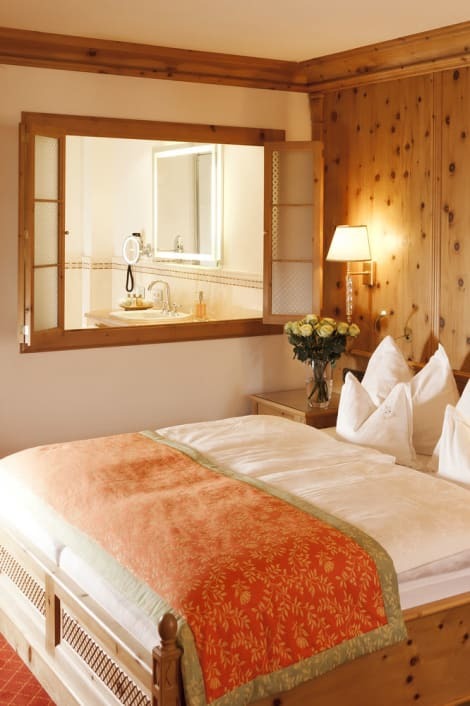 Located in Zell am See, Hotel Grüner Baum is within a 15-minute drive of Lake Zell and Kaprun Ski Resort. 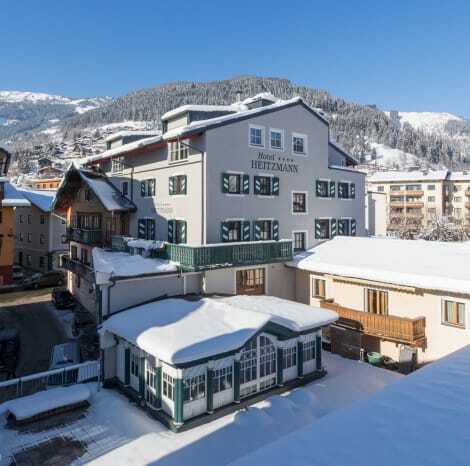 This hotel is 11.5 mi (18.4 km) from Saalbach-Hinterglemm Ski Resort and 0.1 mi (0.1 km) from Schmittenhoehe Ski Resort. The residence lies in a quiet, sunny place, directly at the edge of the forest on the sunny side of the lake. It is 200 m (5 minutes) from the shore. The central location offers guests a perfect start to all excursions and skiing areas. The bus station is roughly 200 m away and the railway station around 3 km. Salzburg Airport is situated at a distance of approximately 80 km. The family-run and traditional hotel is the perfect place for a relaxing holiday. It offers 4 equipped conference rooms that can also be used for wedding receptions, which the hotel can organise. With a total of 120 guest rooms, the air-conditioned establishment offers a lobby, hotel safe, currency exchange facilities, lift access, a kids' club, café, bar, disco and breakfast and dining room. Internet access is provided for a fee. Those arriving by car can leave their vehicle in the car park and bicycles may be hired on site. The rooms are comfortable and functionally furnished. A special feature in the rooms is surely the view of the surrounding scenery. Most of the comfortable rooms feature a balcony with wonderful views. The en suite bathrooms are fitted with a shower. All rooms offer a double bed, direct dial telephone, satellite/cable TV and central heating. The hotel offers an in-house ski hire service, snowboard hire and a ski service. There is also a sauna (for a fee), a solarium and a large sun terrace available. Guests may take a dip in the outdoor swimming pool and aqua fit sessions are provided (both for a fee). A range of water sports are on offer, including jet skiing, surfing, windsurfing, banana boating, sailing, catamaran boating, canoeing and pedal boating (fees apply to all). Further leisure activities include tennis, table tennis, pool/snooker, darts, volleyball, beach volleyball, horse riding and biking (fees apply to all). There is a golf course some 4 km from the hotel (for a fee). Entertainment programmes are arranged at the hotel for adults and children (fees apply). This charming hotel can be found in Zell am See. The total number of bedrooms is 38. Those who dislike animals may enjoy their stay, as this accommodation does not allow pets. This is a great hotel right in the centre of Zell Am See and comes highly recommended. With a stay at Hotel Heitzmann, you'll be centrally located in Zell am See, a 1-minute drive from Lake Zell and 14 minutes from Kaprun Ski Resort. This 4-star hotel is 11.5 mi (18.6 km) from Saalbach-Hinterglemm Ski Resort and 0.1 mi (0.1 km) from Schmittenhoehe Ski Resort. lastminute.com has a fantastic range of hotels in Zell am See, with everything from cheap hotels to luxurious five star accommodation available. We like to live up to our last minute name so remember you can book any one of our excellent Zell am See hotels up until midnight and stay the same night.